Some months ago a conversation with a close friend turned into a bucket list of places we wanted to visit. Some surprise was registered when Beirut came in my top 3. Since 1988 when, as a teenage backpacker, I travelled in the Middle East with my archaeologist brother Jack, I was frustrated by the impossibility of crossing into Lebanon over the Golan Heights from Syria, due to skirmishes. A “non, madame” is like a red rag to me and I’ve not forgotten I was kept away all those years ago. We are in the birthplace of civilisation. The bounteous nature of the soil allowed the local population to invest in innovation, rather than being dependent on hunter gatherer self-sufficiency. By becoming efficient farmers and domesticating their animals, they were able to achieve food surpluses allowing for a non-productive elite. At the time in most other parts of the world, this luxury was an impossibility. These early years of development have stood their stead. Wherever I have travelled in the world I have found Lebanese business people with a creative slant on everything they have accomplished from architecture to food and fashion. You will not find a kinder, more generous people but Western preoccupation with safety concerns has kept tourists away. I knew I would love it and here I am. The trip ticks off two aims; to visit this stunning land and its lovely people, and to deliver emergency aid to the Syrian refugees living in disorganised camps along the border. 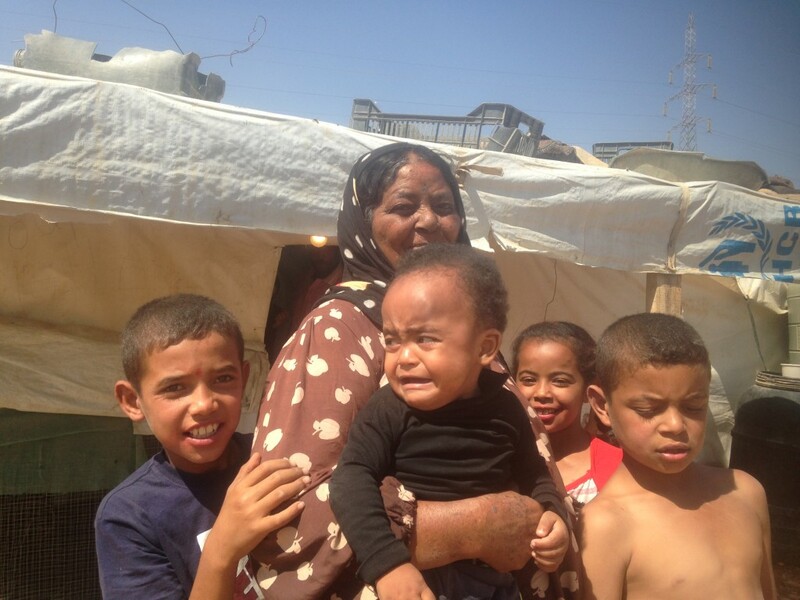 There are around 1.5 million Syrians in Lebanon, representing nearly a quarter of the population. It’s staggering how much UNHCR has been doing here over the past few years, but it’s not enough. We in the UK are worried about the opening of our European borders to the masses of economic migrants and refugees and with some justification, but a trip to this area puts the situation into perspective. Syria – one of the most stunning places I have ever visited – is going through such hideous times with vicious bombing and crossfire from the multitude of factions in a gruesome civil war. (I’ve added a link below to a great Vox article giving a potted history and explanation for those interested.) 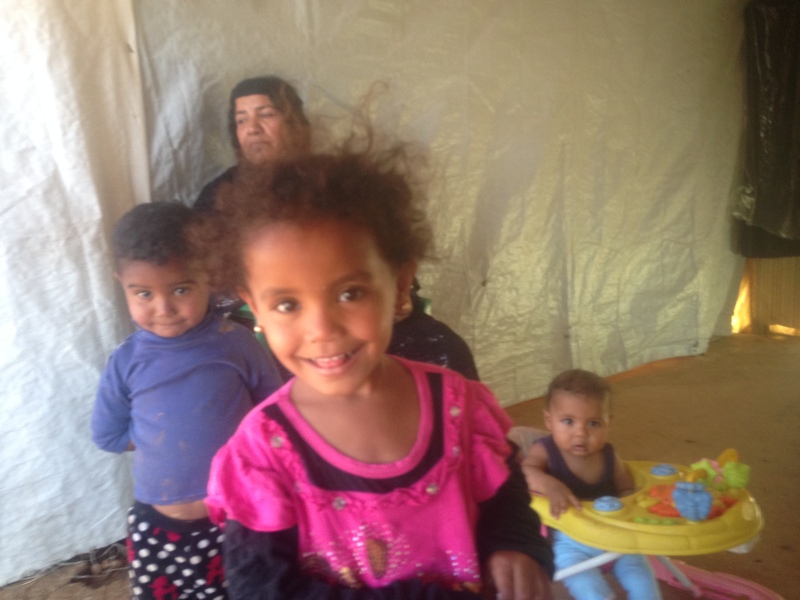 Those fleeing to the safety of Lebanon, Turkey and Jordan tend not to want to move too far away; they may have houses, farms and property at home, often with elderly relatives attempting to keep it safe or they may have lost everything and walked to the nearest place of sanctuary to escape death. The tented settlements are populated by women and children, with the men often gone; dead or away. 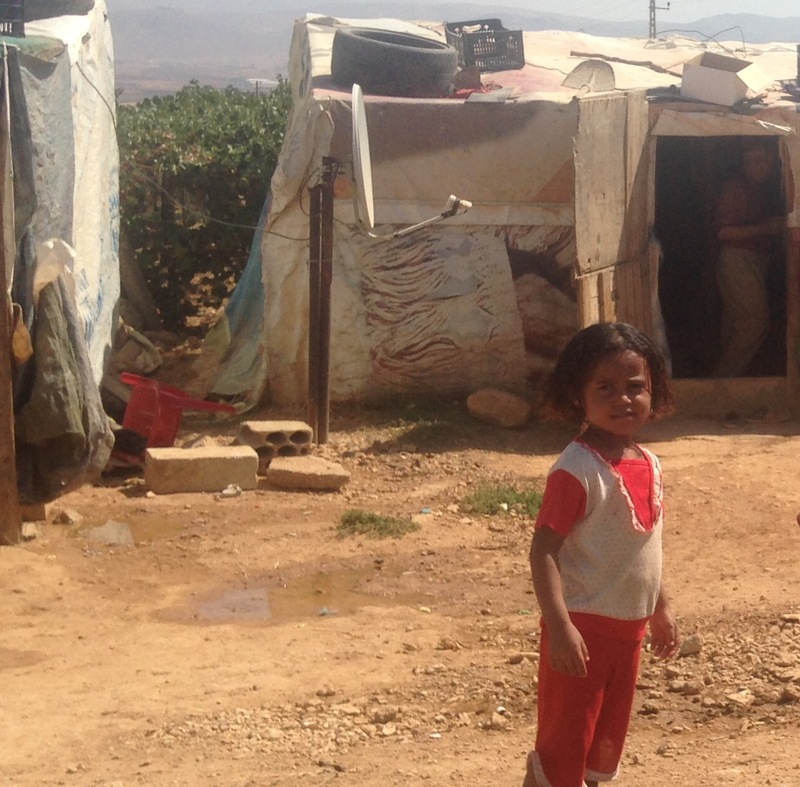 The local Lebanese suffer from the influx which also causes local deprivation and additional poverty. Whilst tolerant, there is little love for their new residents from what I hear on the ground. Memories of the war with Syria and some religious prejudice prevail; the refugees are mostly Sunni Muslims, the local residents often Christian, Druze or Shia Muslims. 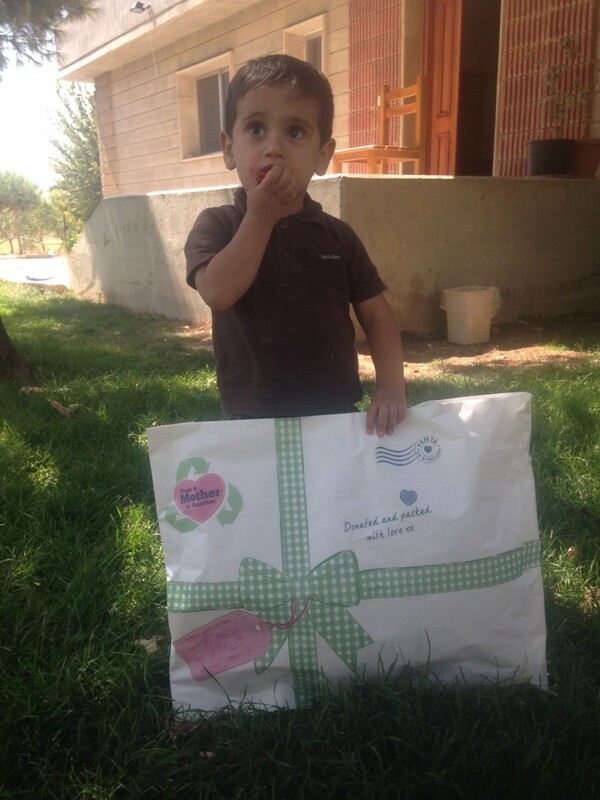 At JoJo Maman Bébé we want to help where the help is needed and we don’t care what their religion or nationality may be. As the company grows, we have been able to dedicate some of our resources and funds to charity. Like our garment production and every other area of our business we try to cut out the middle men and go straight to where we can be sure our aid will be of real help. 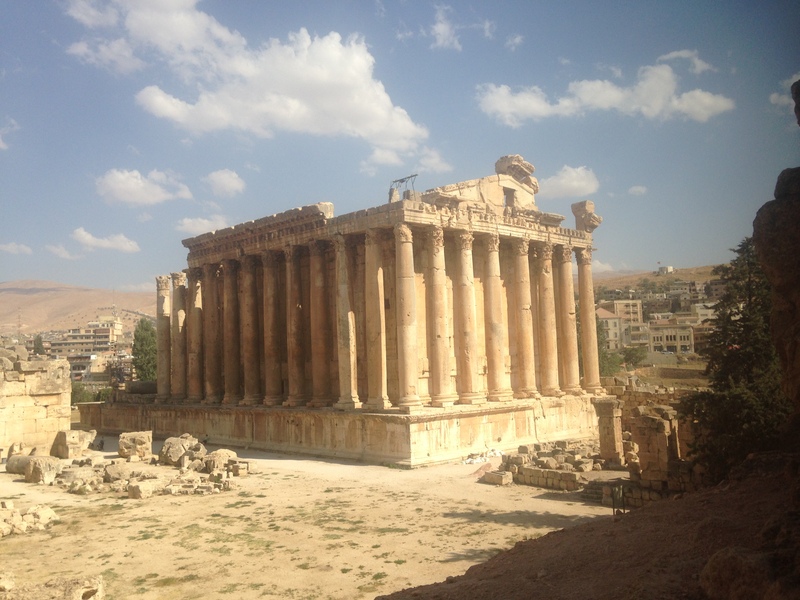 So Lebanon rose to the top of the bucket list priority when a birthday treat trip was suggested and despite concern from my fellow directors and teenage children, here I am and I could not feel safer. It beats cycling around London in rush hour for sure! My meetings in Beirut with charities Viva and SOS Children’s Villages were so encouraging. My experience of being a Nema Foundation Trustee (our house charity for the past 9 years which works to reduce infant mortality in rural Mozambique) means I understand the difficult ethical dilemmas they face. I brought out as many From a Mother to Another emergency clothing packs as we could carry and they were very much appreciated. The work our lovely JoJo Maman Bébé teams put into checking and sorting the donated hand-me-downs into gorgeous collections of outfits means we can help without putting more pressure on the busy volunteers on the ground. In the Bekaa Valley the holiday atmosphere evaporates as the Lebanese armed guard manning the frequent road blocks vary from looking pathetically young and innocent to frighteningly menacing. Brandishing Kalashnikovs, the soldiers are fully kitted out in khaki uniforms and hide behind sandbag protected bunkers. The Syrian border is just a few miles away and the lush farms offer the chance of occasional fruit picking revenue to the refugees. Like a vast gypsy encampment, stretching for 50 miles, we pass makeshift tents and camps at regular intervals, both in the valley and on the inhospitable mountain passes. We visit one such settlement (calling it a refugee camp sounds too formal), and I’m at first treated with suspicion by the residents. My usual trick of sitting on the floor, taking photos and short films and showing the children the results breaks the ice and they are soon smiling and laughing, showing off for the camera. I’m invited into a tent/home where a baby sits in a plastic walker – the only furniture in the house other than a dusty, lumpy TV on a crate in the corner. The floor is beaten earth, the children in dirty clothes have matted hair; one water catchment tank and tap is offered for the residents appearing to number about 150. I ask what help they need. They tell me “we need everything.” It’s hard to know where to start, but the weather, whilst glorious in September, turns bitterly cold in the winter with snow for many months. I feel they need warm clothes and I’m told they need shoes. I think we can do something; it’s not much but at least it’s something. Shoes for Little Syrians must somehow be sorted out as soon as I’m home. We will find a way to get our donations through customs, just like I have finally found my way into Lebanon after being scuppered 27 years ago. 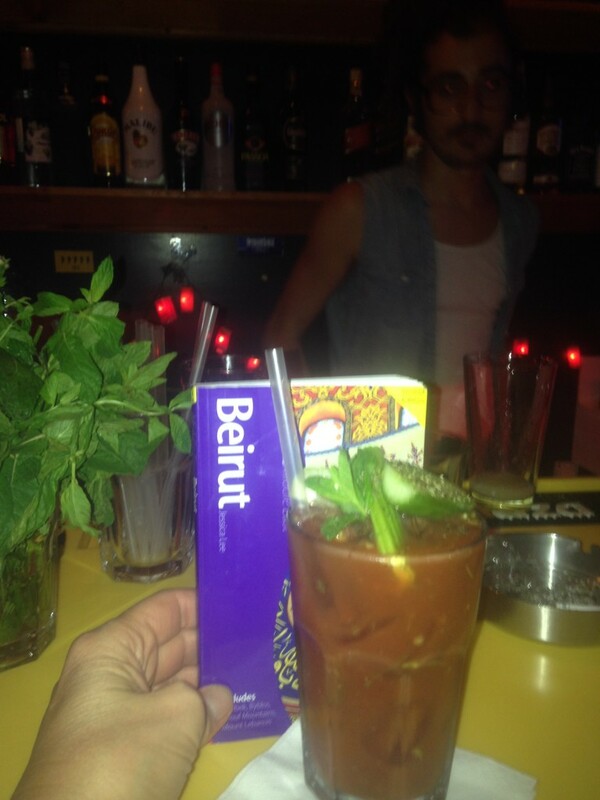 It’s really such a beautiful country, with amazing people and (it may be shocking to admit) the best cocktails I have ever tasted in the vibrant bars off the Rue Armenia in East Beirut. This is a holiday with the purpose to set up an efficient distribution network for the JoJo From a Mother to Another emergency clothing packs. But it started with a holiday and I take my cue from my hosts; the Lebanese may be struggling with water and electricity cuts, a massive Syrian refugee population and no president for over a year. But they work so hard, often having several jobs and, oh my, they party too – I did not once go to bed without the noise of a family party, disco or cheerful conversation keeping us awake long into the night. This is a country where people live life to the full, never missing an opportunity to get involved – I could not be happier or feel more at home! Beirut: We stayed in the city centre. A hotch-potch of building works, noise and stunning Arabesque architecture vying for space in the high rise construction site which dominates most Middle Eastern and Far Eastern cities. The Villa Clara is an oasis of clam. Stunning, if romantically shabby chic, rooms and courtyards with welcoming (even at our 5am arrival time) hosts Marie Elaine and Olivier, the owner managers. Food is apparently delicious although I was out on the town. Next time I will stay longer. This guest house epitomises everything that is perfect about Lebanon. Dont miss: The evocative beauty of bar/restaurant Terminal B for food and cocktails delivered to you in a bombed out Medieval house. It made me want to cry, laugh and cheer all at once. How a country so torn apart by war and misery can create beauty out of adversity. And the lovely staff at the rooftop bar, Coup D’Etat (walk up 8 flights of stairs from the Urban Garden Project) make the most delicious Bloody Mary bar none. 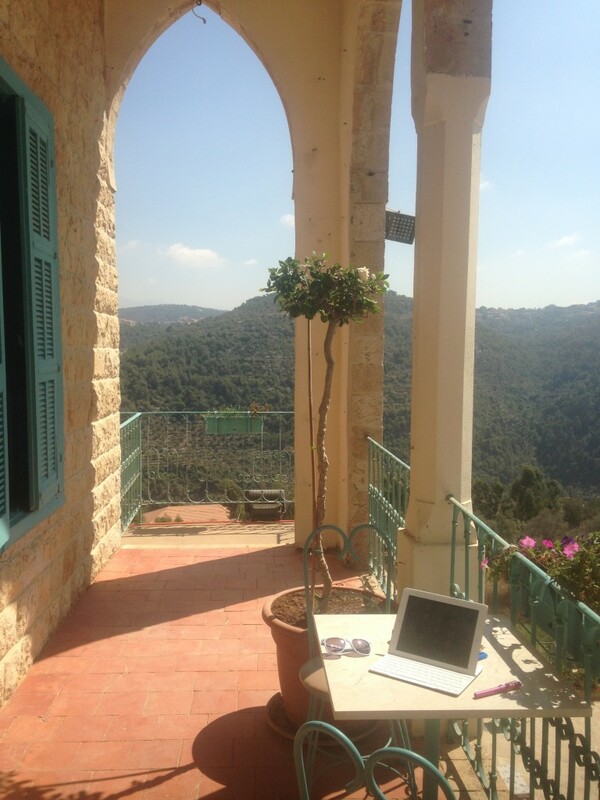 On the way to the Bakaa Valley: Just an hour into the Chouf Mountains, we stayed in Deir Al-Qamar, at the Deir al Qamar guest house where I enjoyed a lovely view as I caught up on my work. With stunning service they fed and watered us grandly. We ate outside and played backgammon in front of an open fire as it got cold at night. I will be back! SOS Children’s Villages, whose families homes in the Bekaa Valley offer a real home to a larger number of orphaned children. 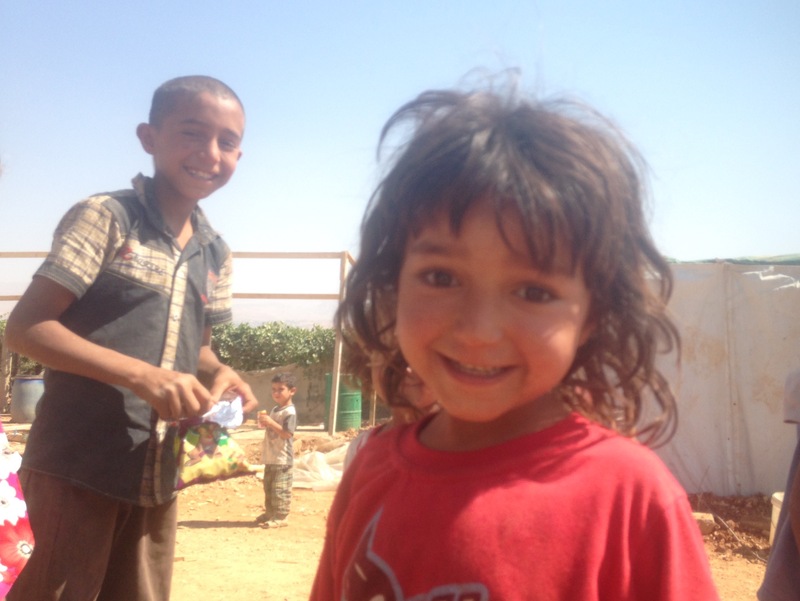 Viva, a church-based children’s charity supporting the work of a local organisation in Lebanon which has 23 church-based distribution centres across Lebanon helping Syrian refugees with food and clothing.